For the members of the UBC tennis sports club, tennis is much more than just a game that they can play with their buddies on the Place Vanier courts after finals season. It is a game that they need to sacrifice their time and energy, to play at a much more competitive level. The team is one of 12 Thunderbirds sport clubs (TSC) that were introduced in September 2015. This means they are playing at just one tier below varsity. These clubs are labelled as the “newest competitive option for UBC student athletes” on the UBC Recreation website. This category differs from varsity in that varsity teams are fully funded with coaching staff and practice facilities, while sports clubs are mostly student-funded and do not get as much support as a varsity status team. 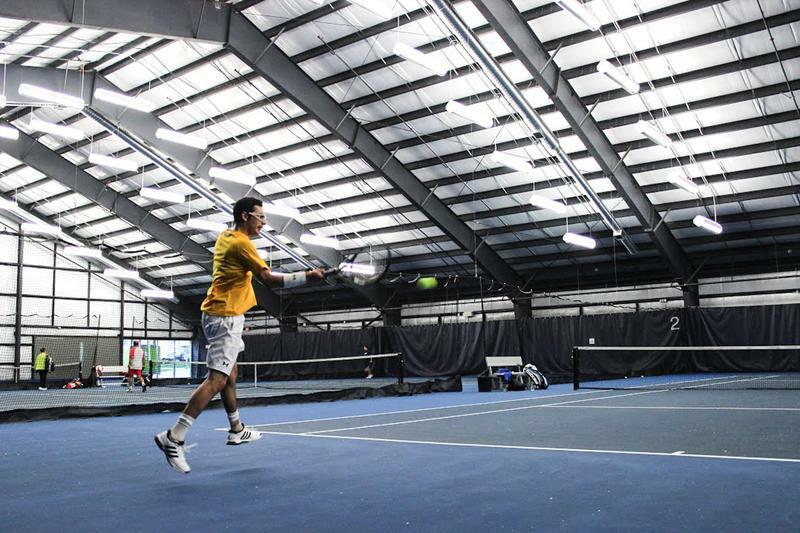 The tennis club's long-term goal is to become a varsity team. The club hosts big fundraisers and establishes connections for sponsorships in order to fund the team, works to improve public awareness of the team and establishes links with some community programs. They also allow the players on the team to focus on their tennis instead of logistics, in order for them to play at their very best. Even before becoming Thunderbirds, the tennis team had been representing UBC at a very high level -- UBC was one of four universities that have competed at the national level in 2012. However without sport club status, there was nothing that differentiated them from a regular club. As a result, there was not much support, which would have helped the team in many ways. However, after gaining sport club status, that has largely changed. Last season, the UBC tennis team had participated and excelled in Regionals and Western Championships, just failing to step foot into Nationals. The club put on a great display at the Regional Championships. After a hard-fought finals match with the Simon Fraser University (SFU) men and a clinical victory for the women’s side, both the men’s and women’s teams became champions and advanced to the Western Championships. At the Westerns, the Thunderbirds competed against a varsity status University of Alberta team. Unfortunately, Alberta was able to scrape past UBC in very close matches to advance to the Nationals. Despite the loss, they have reason to be proud of themselves. The close loss was against a fully funded varsity team and both teams had the reached the finals of the Western Championships. The team has been shown glimpses of a promising future. The team's roster is also force to be reckoned with. On the women’s team, there are two former NCAA division one players along with two of the top five BC Junior players. Over on the men’s side, the team boasts a former Columbian Junior player, a member of the Dubai Davis Cup Team, and also a couple top BC Junior players. “We are very fortunate to have elite players at UBC,” says Silva. With growing support each year, the UBC tennis club looks like it will be reaching greater heights in the years to come.